The very first question that most of the renters ask is why would I possibly need the Renter’s liability insurance? Honestly, it is the need of every individual, who is living on rent. 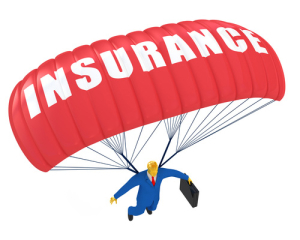 Like all insurances, it is also meant for your protection. You will be protected from theft and losses. There are some damages that can occur even when you are living in the rented house. When you go and ask the landlord for help then he will simply refuse. How can a landlord possibly help you if someone has broken into your house and stolen your precious items? There are even cases where the landlord asks you to pay for the damages. For example, if the house is damaged because of fire, the landlord will ask you to fix it and pay for the damaged caused to others too. The insurance will protect you from bearing such expenses. What does the Renters liability insurance cover? The basic Renters liability insurance will be protecting you from theft and apartment damaged due to unfortunate events like fire. There will be liability protection for the owner too. Medical expenses of the individual, who got hurt inside your apartment, will be covered. Your insurance will also cover the price of the replacements you did in the apartment after damage or theft. On the whole, it will protect all your precious assets. If you are living in some apartment or house for rent, then it is your responsibility to make the environment safe for yourself. You as a renter will also be responsible for the trespasser. Like in case of a car accident, you have to pay for the damage caused to others as well as to your own car. Similarly, if your apartment catches fire and the property of your neighbor gets damaged then you are going to be liable for those damages too. The landlord will never be responsible for the damages. It will always be the one, who is living on rent. They also have some responsibilities but they won’t be in your best interest. 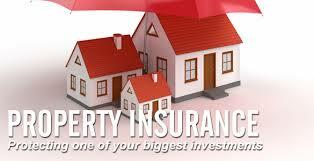 The insurance of your landlord will cover the building but not the contents of the buildings. Thus, do not rely on the landlord’s insurance. Standard Renters Insurance: The standard renters insurance will provide coverage for the personal property damages or losses for which you have demanded protected against theft, fire, hailstorm, and windstorm. Damaged caused by natural disasters are usually excluded.